These individuals will be recognized along with retiring staff members and those who have achieved milestones of 30, 20 and 10 years of service at Arkansas State. See the complete list of honorees. 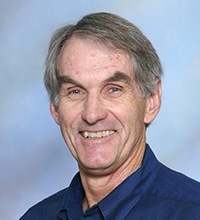 A research article by Dr. Bill Stroud, professor of geography, was published in the March edition of Florida Water Resources Journal. The article is “Improving Water Resources in Southwest Florida: The Case of the Picayune Strand Restoration.” He also presented a paper, “Picayune Strand: The Missing Piece of the Puzzle” at the Association of American Geographers national meeting in Tampa. A transition to hydrogen fuel will have a transformative effect on the global energy system, but first a sustainable hydrogen production system using renewable resources must be developed. 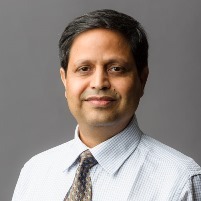 During a physics lecture at University of Memphis, Dr. Rajesh Sharma, assistant professor of renewable energy technology, presented his research related to finding a material that can efficiently harness solar energy for hydrogen production through photo-electrolysis. Dr. Larry Ball, emeritus professor of history, was featured speaker for the initiation ceremony for Eta Chi Chapter of Phi Alpha Theta. Ball discussed his book, Tom Horn in Life and Legend, published by University of Oklahoma Press. In the historical biography, Ball explores the exploits of the notorious Old West gunman Tom Horn, who spent time on both sides of the law during his brief lifetime. Ball will sign copies of his book at Barnes and Noble on Saturday, June 14, 1-4 p.m.
A sophomore biology major advised by Dr. Fabricio Medina-Bolivar, associate professor of plant metabolic engineering, won first place at the Undergraduate Student Research Symposium, agricultural and food chemistry division, at the American Chemical Society national meeting in Dallas. Aaron Tollett was one of six U.S. university students who were invited to give a talk at the symposium, based on applications from throughout the country. Congratulations to Tollett and to Medina-Bolivar on this achievement. This is the sixth edition of Inside A-State . . . the staff of Marketing and Communications hopes you are enjoying this e-publication. Previous editions and additional details about Inside A-State are available here, along with a link for submitting information for future editions. Send a tip about a colleague whose work should be noted, or leave a subscription request. We want to hear from you!